When evaluating the New Year, Chaitra Shukla Pratipada and New Year, i.e. 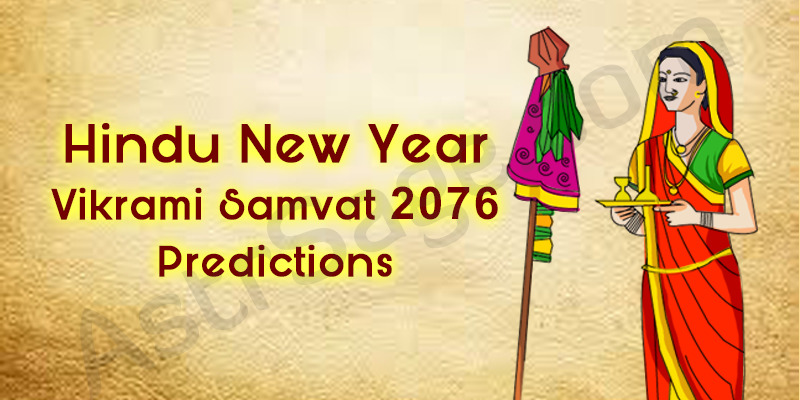 Mesha Sankranti’s kundli is analysed, based on which the predictions are given. The kundli of Chaitra Shukla Pratipada is of Scorpio ascendant. The lagna lord Moon is placed with its friendly planet Sun, second house lord, in the ninth house of Pisces. 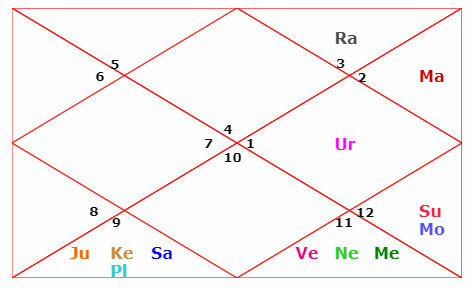 Sixth and ninth house lord Jupiter, seventh and eighth house lord Saturn and Ketu are placed in the sixth house, whereas Rahu is in the twelfth house. Third and twelfth house lord Mercury is with fourth and eleventh house lord Venus in the eighth house. Fifth and tenth house lord Mars and placed in the eleventh house of Taurus. Planets are placed between Rahu and Ketu. Mars and Saturn are forming the Shadashtak Yoga. The kundli of Mesh Sankranti is of Cancer ascendant and lagna lord Moon is placed in its own house. Jupiter, Ketu and Saturn is placed in the sixth house and Venus in the eighth house. Mercury is in the ninth house, Sun in the tenth house, Mars in the eleventh house and Rahu in the twelfth house. Will India Fight Terrorism & Become The World Peace Guru? 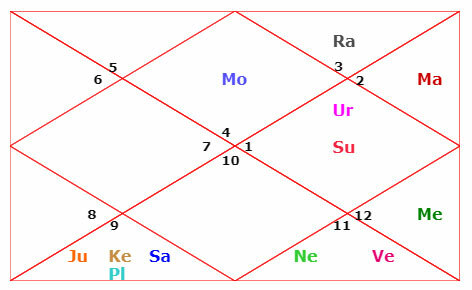 The lagna lord Moon is placed in the ninth house with second house lord Sun, due to which India will gain multiple opportunities to move ahead. India will dominate in the overseas due to its impeccable strategies and become successful with a diplomatic approach. Although internal clashes will reside. Mars transit in Gemini during mid May-June and placement with Rahu will form the Angarak Yoga, which hints towards terrorist activities. Some sudden events and natural disasters may take place. Lagna lord Moon in the ninth house will increase the luck factor and the country will face all the struggles and difficulties bravely and emerge as the winner. Placement of seventh house lord Saturn from sixth to eighth house will enable the country to seek help from other countries and curb the terrorist activities. Politics: Will Modi Reign the Lok Sabha Elections 2019? Politics will see major ups and downs and it is possible that no party will gain full majority in the elections. As a result, a coalition government may form and small political parties might steal the limelight. In spite of this, however, the current ruling party can get a chance to form the government again. There are chances of current PM Modi forming the central government once again. The Mahagathbandhan government may gain some advantage, but due to the opposition parties not being able to achieve as expected, gaining success in forming a government looks doubtful. Due to the conjunction of the third and fourth house lord in the eighth house, opposition parties will be accused of being anti-national and conspiring against the country. Sports: Will India Win The World Cup? Third House lord is Mercury and Jupiter is placed in the eleventh house with its ruling lord Venus. Hence, India will perform well in the field of sports. Although this placement may result in struggles in the beginning, and players have to give extra efforts to perform outstandingly well. Fifth House lord Mars is posited in the eleventh house and aspecting the fifth house, hereby making its own house strong. As a result, an increase in the birth rate can be seen. On the other hand, there is a conjunction of Saturn-Ketu-Jupiter in the sixth house and aspected by Mars. Due to this, the number of infectious diseases can increase and cause problems related to health. Fifth and Eighth House lord Mars is placed in the profit house, due to which India will make economic progress. Seventh and Eighth house lord Saturn is posited in the sixth house points over managerial benefits through international relations. Due to the above reasons, foreign business and trade policies will prove favorable to the country and India will make distinctive progress. Saturn is placed in the sixth house, due to which there will be an increase in the prices of petrol-diesel. Mars aspecting Saturn from the eighth house signifies an increase in the spices of metals. Monetary treasure will grow, and the country will move on the path of progress. The year can prove to be beneficial for the businessmen and traders. Monetary value of metals will increase and there will be a constant hustle in the share market. Inflation rate will increase and the country’s wealth will be successfully accumulated in the banks. For this, the government can take a difficult decision. Saturn and Mars are creating the Shadashtak Yoga. Mars is the ruling lord of the tenth house and Saturn rules the seventh and eighth house. 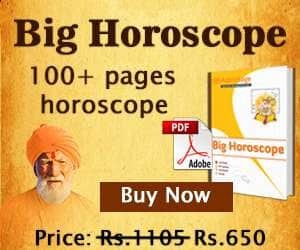 As a result, Saturn, which represents international relations, is being aspected by Mars, due to which ups and downs can be seen in relationship between India and other countries. Some bitterness may seep within the relationship as well. Budget set for national security will see an increase and development will be seen in the same domain. Third house lord Mercury will be placed in the eighth house, which denotes a secret conspiracy between the neighboring countries. Hence, the country must remain alert. Samsaptak Yoga of Rahu-Saturn formed in both the kundlis points towards a pseudo-war or communal violence. Due to sixth and eighth house being connected, several defense deals will be made and tough actions on the opponents will be taken. Indian Defence will become strengthened. According to Hemadri Brahma Puranas, Lord Brahma created this world on the first day’s sunrise during Shukla Paksha in the month of Chaitra. Hence every year in the month of Chaitra during Shukla Paksha, the Pratipada or first date or tithi is celebrated as a New Year in Hinduism. In the year 2019, the new samvatsar begins from 6th April, Saturday and called as Paridhavi. This is the 46th Samvatsar in the sequence. Vikrami Samvat 2076 begins from the Chaitra Pratipada (first day of Chaitra month). Also, Chaitra Navratri is also observed on this day. It means that during the Paridhavi Samvatsar, relationship between the countries of the world will become tense and war-like situations can occur. There might be less rainfall during the month of Shravan and Bhadrapada, leading to monetary imbalance. Prices of crops and fruits will rise. During this period, there will be a fear of violence and brutality and the environment will remain disturbed. Four-legged creatures can suffer and there will be a hike in the prices of fruits and juicy materials. Along with it, you’ll see a decline in the prices of silver and other metals. As per the Jyotir Nibandh, on the Chaitra Shukla Pratipada, the day at the time of sunrise is considered as the “King” of the year. As this time the Pratipada is falling on Saturday, hence Saturn will be considered the King of the year. At the beginning of this New Year, Cancer ascendant is rising, due to which the eastern states of the country as well as eastern countries of the world will see progress and development. Western states of the country along with western countries of the world will suffer from famine. There will be a situation of political unrest in the northern states of the country as well as northern countries of the world due to counter attacks and allegations. Due to Revati Nakshatr falling in the beginning of the year, there will be plenty of rainfall, due to which harvest, people and economy will prosper. With Saturn being the King this year, an increase in the violent and disturbing circumstances and war-like situation can occur. There might be low rainfall and drought like situation. There is also a possibility of mass loss. Inflation may be seen in the country, leading to high prices and costliness. Due to infections and diseases, public may suffer and a situation of confrontation between ministers of the country can occur. People can escape from one place to another due to terrorist activities and violence. The Sun is the minister this year, which is why public may develop fear towards scandalous people and strict judgement and rules passed by the government. Although, country will maintain excellent financial terms. There will be favorable agricultural conditions in the northeast. There can be tensions rising between the State and Central Govt. along with a decrease in the production of juicy materials leading to an increase in their prices. With Mars being the Shasyesh, fauna may have to face troubles and the animals may suffer from various diseases. Infections will increase. In the southern states, crisis regarding drinking water can occur. Communal instability and violence will increase and crops may get damaged due to low rainfall. As a result, their prices will also increase. With Saturn being the commander-in-chief, hostility and enmity with neighboring countries can increase and war-like situations can occur. Due to internal conflicts in the countries, instability can occur. Apart from this, any kind of natural calamity will be likely to affect the public majorly. Communal tension will increase and conflict between communities can increase. Also, crops are likely to get damaged. Meghesh denotes the yearly rainfall. With Saturn being this year’s Meghesh, irregular rainfall is likely to happen. Due to this, some places can suffer from flood-like situations whereas some may face drought. As a result, natural disasters can take place in western countries and communal peace can get disturbed. There will also be possibility of damage to crops. Dhanesh means the lord of finances and money. With Mars being the Dhanesh this year, fluctuations in the business sector along with the prices of several products can be seen. Due to unwanted or untimely rainfall, adverse effects can be seen on the cultivation and harvest. In addition, the situation of the country will be likely to move towards uncertainty and instability can prevail. Some strict decisions will be taken by the administration. Fluctuations in the economy for several countries can be seen. This year, the Rashesh is Jupiter and as a result, the public will acquire positive results. Plants with fruits and flowers will bloom and respect of wise and intelligent people in the society will increase. The flora, fauna, medicinal plants and water resources will develop, hereby making nature more beautiful. Police or army vehicles can be deployed at some place in particular. Phalesh means the lord of fruits. Due to Saturn being the Phalesh this year, there will be a possibility of a decline in the cultivation of flower bearing plants and fruits. Also, less flowers can bloom. The situation of untimely snowfall is likely. Apart from this, uncivilized elements of the society will become active and there can be an increase in chronic diseases being born. Due to the Harvest lord (dhanyesh) being Moon, there will be plenty of rainfall, leading to excitement and progress among people of the country. There is a possibility of increase in population and winter crops. The number of animals giving milk will increase, so there will be a rise in the milk and milk products. Rainfall can occur by observing spiritual rituals and doing good deeds. A sense of communal peace and harmony will prevail. The water level of rivers and water resources will remain balanced. Nirshesh means the Lord of metals. This year, Mars acts as the lord of metals, due to which there will be an increase in the value of metals. A large increase in the prices of red garments, diamonds, coral, topaz, precious gems, and gold, copper, brass etc. can be seen. Out of 10, 8 posts have been acquired by the malefic planets and only two posts are gained by the kind planets. As a result, mixed results can be obtained. Due to the influence of cruel planets, situations can become adverse. Only due to Moon and Jupiter, natives may hear good news seldom. Due to Saturn acquiring major lordships, it will become stronger. Saturn represents the actions and justice, due to which the judiciary system will pass on strict rules and verdicts for the betterment of the society. Due to the King Saturn and Minister Sun being inimical in nature, there will be a situation of unrest and conflict around the world. Top-most ranking personalities of the countries will speak harshly for each other and can use rude words. Due to this, interpersonal competition will increase and a sense of instability will rise. Rainfall will likely to remain less, due to which there will an increase in the prices of crops and grains along with other things. Uncivilized elements can try and disturb the environment of the society along with attempts to harm the communal harmony. Several hard decisions can be taken by the government for the betterment of the society. It can be related to law or other provisions. We hope that the Hindu New Year Chaitra Pratipada 2019 be auspicious for you. We also wish for your better future.